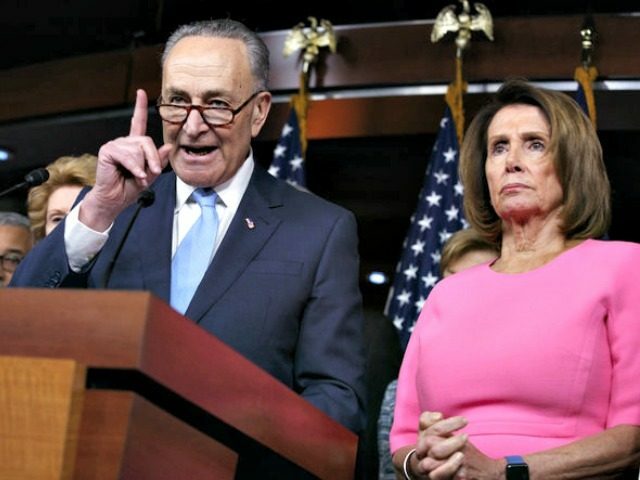 The House Minority Leader Nancy Pelosi [Calif-D] has gone on record to describe herself and the Senate Minority Leader Chuck Schumer [NY-D] as “the voices for winning” the next set of elections. In an interview with KTVU, Nancy Pelosi is either having one of her senior moments in which she refers to voices without providing much clarity on whether these are voices of real people or if they’re the kind that should be medicated away, or she’s looking for an odd excuse to ignore her unpopularity, even with her own party. As we reported just a few weeks ago, 41% of Democrats want Pelosi to stay, while a full 27% of them want her to retire, with only 16% of Democrats holding a “very favorable” view of Pelosi with 12% holding a “very unfavorable” view of her. The interview took place this week with KTVU’s anchor Ken Wayne lobbing softballs, but when he asked if the Democrats will be able to take The House back in 2018, she responded that it’s “very possible,” saying that the House is “probably easier” than winning back the Senate. We’re the voices, the Senate leader [Chuck Schumer] and I are the voices for winning those races in [the] House and the Senate, and we’re ready. Huh? Are we talking about the same 2018, here? And what on earth does she mean by the voices? Pelosi told us months ago that the only way she would’ve retired was if Hillary Clinton had won the presidency, but that she is worried about the legacy of Obamacare, nevermind that Hillary’s support of ObamaCare contributed to her loss. Pelosi defended herself against the onslaught, saying she was a “master legislator” and would leave her position on her own terms.